Even though you cannot run a thorough inspection of the ducts by yourself during HVAC maintenance, you can notice various troubling signs. These include using more energy to get your home cool or warm, musty smell coming from the air vents and more dust in the rooms than usual. If you notice any of these red flag, you should take care of the problem as soon as possible. Usually, the problem originates from dust, dirt, pollen and possibly even mold inside the HVAC ducts. The particles usually form dirt-accumulations which need to be loosened first. Extraction is the next step. The particles are practically vacuumed out of the system. Mold requires special treatment for eliminating all spores. With sanitizing, the surfaces will remain protected for longer. Inspection is typically an integral part of every maintenance job including cleaning. It often reveals damage to the seal as this material gets the greatest exposure to the damaging environmental effects. All holes must be filled and more of the sealing material applied in areas with thinning. If the inspection reveals many leaks and/or there are large areas greatly damaged by water, mold and other forces, replacing the air ducts will be the best solution. You need to get components of the highest quality with natural resistance to damage and with a long estimated useful life. They should have high thermal resistance as well. The old components have to be removed carefully and disposes of timely. The new ones require secure fitting so that there are no gaps. Usually, this is necessary due to extensive wearing of the duct. Less often, it is required because of water or mold damage. The new duct should be made from metal. The smoother and more rigid it is the better. Secure fitting will allow the vent function optimally. The new ducts require regular inspection and cleaning. The dryer exhaust system typically requires more frequent care. Lint should be removed completely from both the outdoor box and the duct. 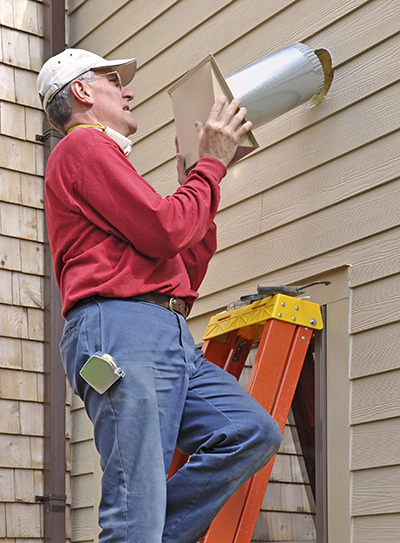 Get a better living environment and cut your energy costs by using our professional duct replacement services. Our company specializes in the cleaning, repair and changing of ductworks of all types. We at "Air Duct Cleaning Livermore" work with absolutely all types of ducts from those belonging to HVAC systems to those used for taking out the hot air released by dryers. To get the desired outcome fast, call us or leave a message. Browse our website to learn more about our professional solutions.